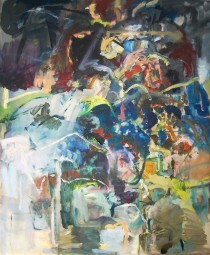 Switalski’s series of works explore the body. 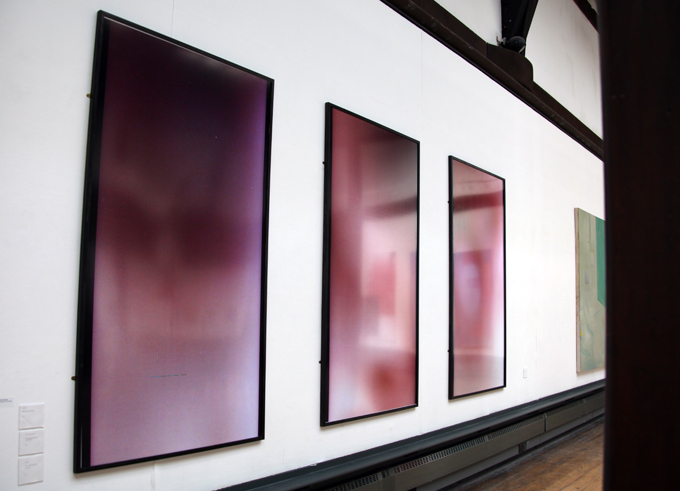 A huge high gloss digital print triptych initially emanates a sense of serenity as you enter the main gallery in the Mackintosh Building. It shows stills of the body taken from a digital film, printed, then scanned into the computer, blown up and printed again. Up close, you notice the pixelation in the images, hairs on the scan and discolouration, all of which reflect the imperfections of the body. 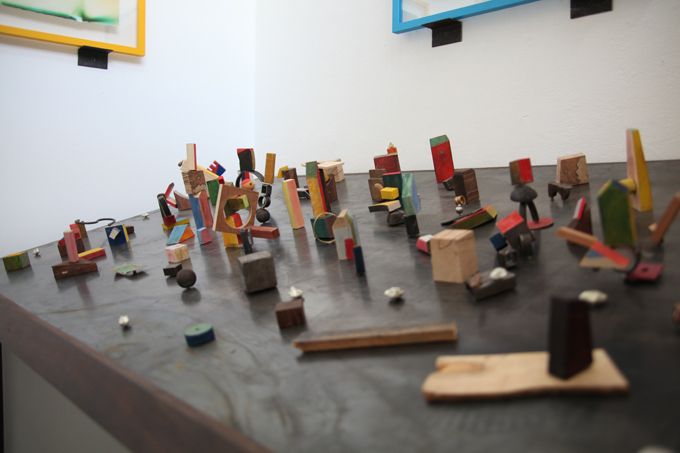 Levine uses objects as signifiers for Western histories. 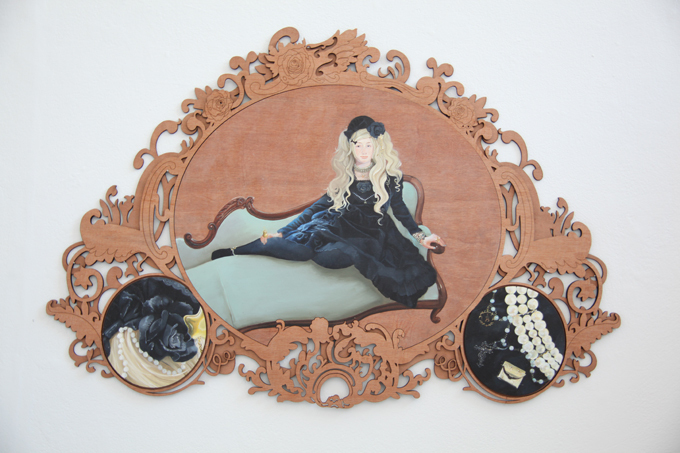 She successfully balances conceptual ideas with craftsmanship in casting replicas of objects. 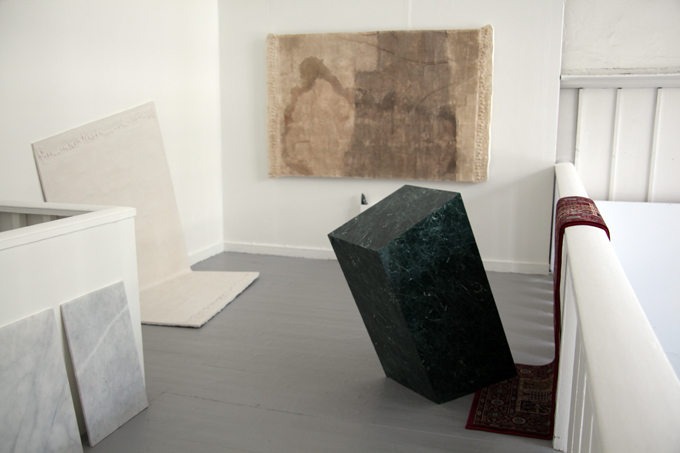 Her installation revels in contrasting materials; polished marble sits alongside rough textiles and plaster casts. After a short discussion with O’Grady, the ideas behind Camellemac become instantly amusing. In 1907, the art school allowed a camel from Hengler’s Circus (located on Sauchiehall Street at the time) into the building to be drawn by students. In an historical re-enactment, O’Grady somehow convinced the powers that be to allow a camel into the listed Mackintosh Building once again. 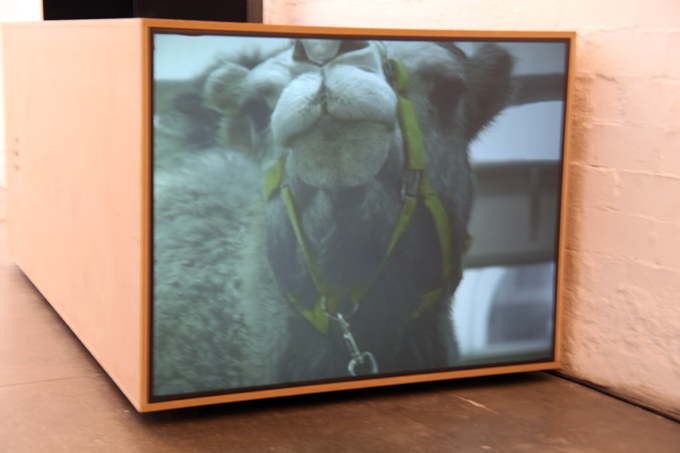 Simon Starling came to mind when watching her work… not because he ever used camels, but because he is also interested in reviving history (as in his current exhibition, Phantom Ride at Tate Britain). 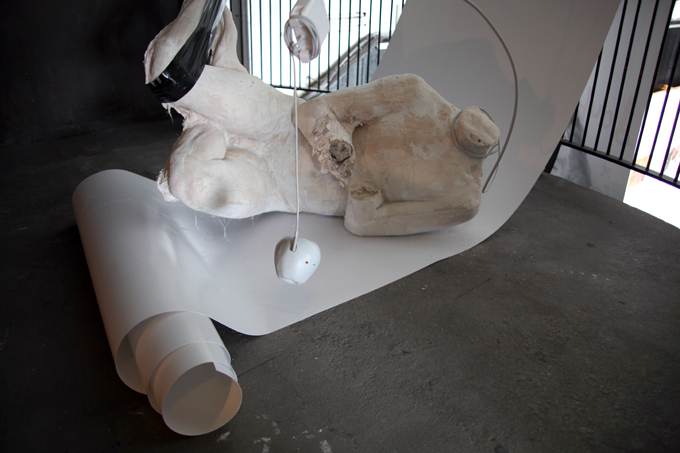 Cook’s work looks at the fabrication of simultaneously fictional and factual alternate realities. 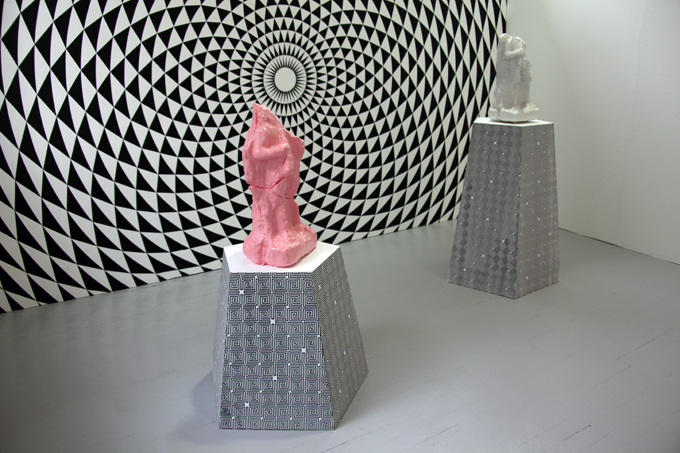 The optical illusions on the walls and plinths reference Roman floor mosaics and have a kind of hypnotising affect. 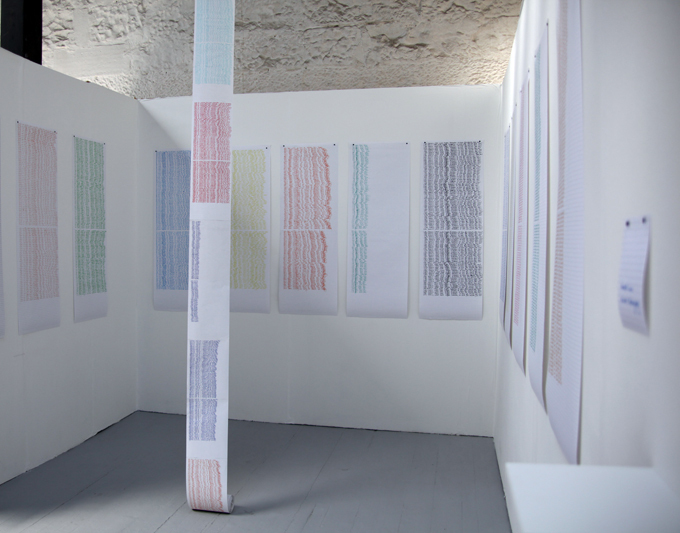 Sophie King’s work shows evidence of its own making. At first glance, the colourful objects appear to have been discarded from a toy shop. However, upon closer inspection, you realise the basic mechanisms of photography have been carved out. 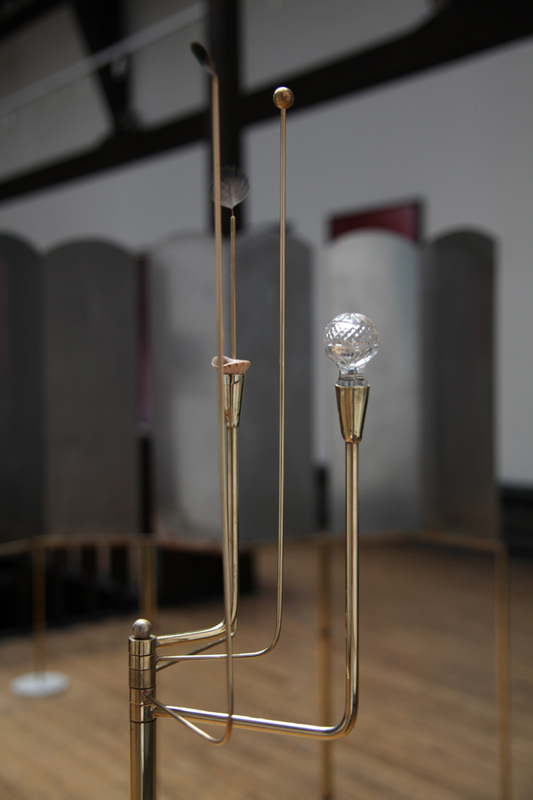 Strength versus fragility is explored in Muyan’s installation. 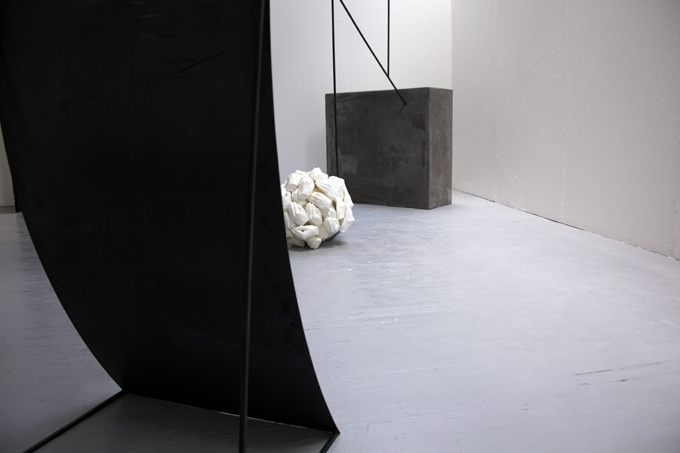 Her contrasting materials (steel, cement, plaster) and elements of the work (multiple cast hands against solid cement blocks) symbolise this contradiction. Wylie’s work is strongly reminiscent of Anya Gallaccio’s Red on Green at Jupiter Artland. Both represent beautiful floral installations laid out on the floor. 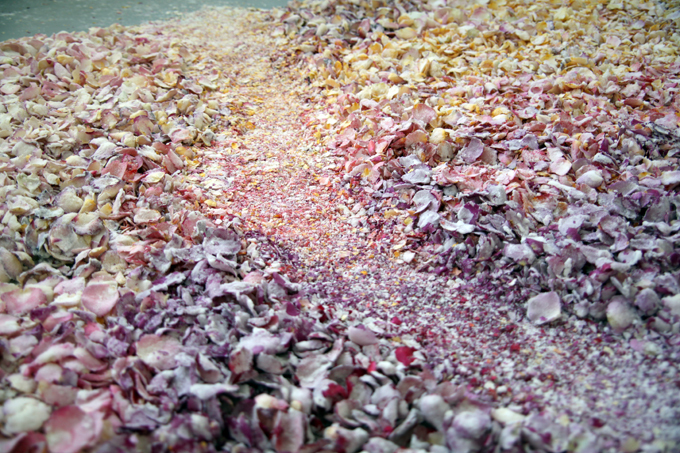 The main difference is that Wylie seems to be trying to preserve the petals on the floor with some kind of wax or powder, whereas Gallaccio’s work is concerned with observing the natural decay process. 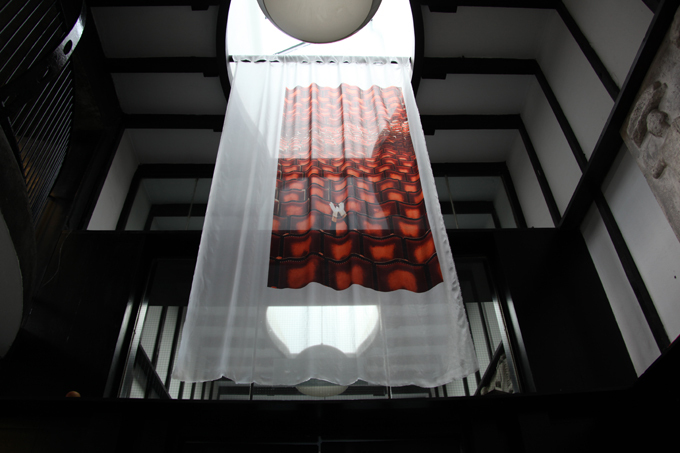 Kenneth Law’s installation consists of a 100 foot long piece of paper hanging from the ceiling which is surrounded by more strips of paper. Lines including “I never promised anyone anything” are repeated down the papers. The lines have all been taken from TV scripts and Law questions the moralities of these shows in his work. Robertson asks: “Can we still appreciate a painting today if it is primarily a thing of representation and beauty?” Influenced by artists such as Boucher and Fragonard, Robertson stood out as she explores the value of an image’s content versus Greenberg’s more abstract ideologies. This is quite a brave thing to do in a school famed for its alumni of well-known conceptual artists. 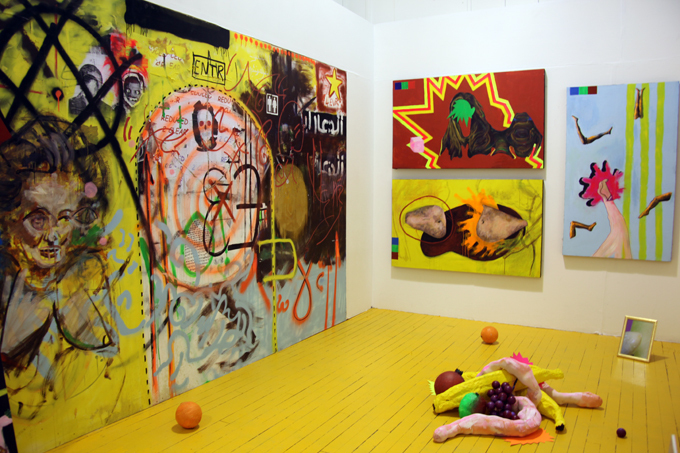 The Glasgow School of Art Fine Art Degree Show runs from 8 – 15 June at the Mackintosh Building, 167 Renfrew Street, Glasgow, G3 6RQ. 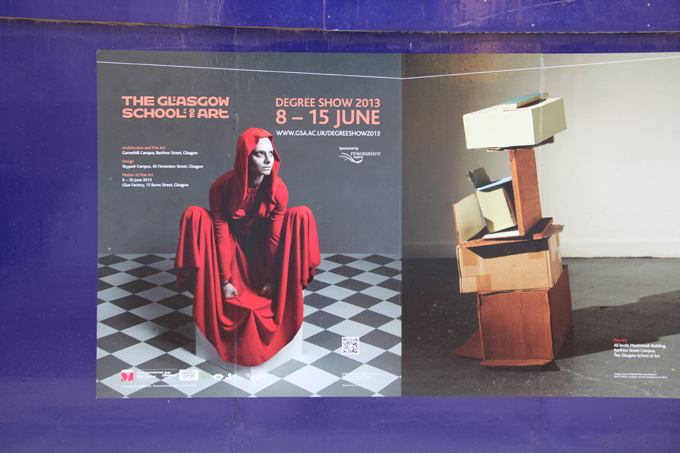 The Design Degree Show is at Skypark Campus, 45 Finnieston Street, Glasgow, G3 8JU.